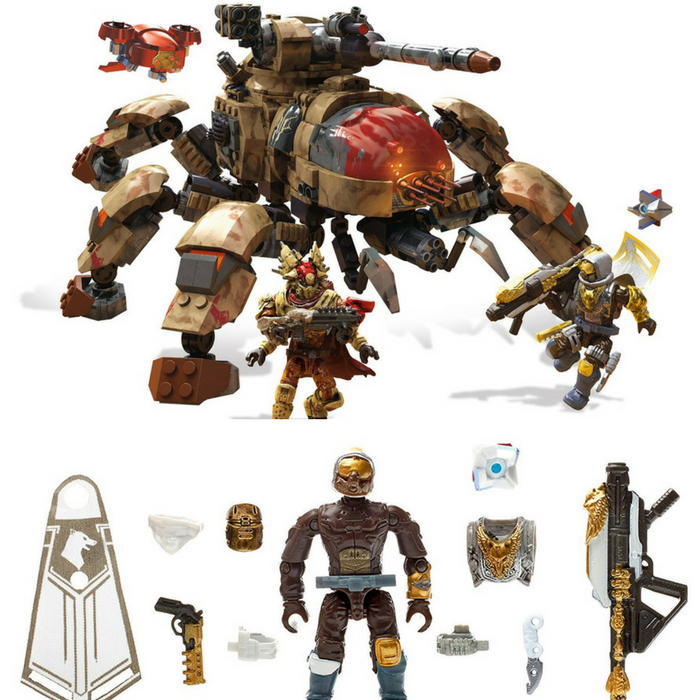 Mega Bloks Destiny Fallen Walker Just $34.99! Down From $70! PLUS FREE Shipping! You are here: Home / Great Deals / Amazon Deals / Mega Bloks Destiny Fallen Walker Just $34.99! Down From $70! PLUS FREE Shipping! Hurry over to Amazon to get this Mega Bloks Destiny Fallen Walker for just $34.99 down from $69.99 PLUS FREE shipping! When a menacing tank patrols the steppes of the Divide, only the stealth of a Hunter can take out the Fallen Walker by Mega Bloks Destiny! On the toxic wastes, a Hunter plots his move against a massive Walker and heavily armed Fallen Captain. Build the Fallen Walker, with its working engine lights. Then, position its rotating turret, cannon and missile launcher as you deploy the Shank from its rear hatches. Next, call upon your Ghost and take aim at the Fallen when you arm your highly detailed, super-poseable Guardian micro action figure with his legendary armor. Then, finish off the Walker when you aim your Gjallarhorn at the tank’s articulated legs and open the engine hatch for a final lights-out! Collect and combine with other Mega Bloks Destiny sets and build your legend!